You have 3 lives per day from Mon - Fri. Keep playing to increase your score. 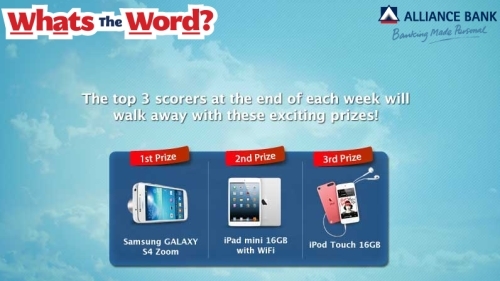 Highest scorers at the end of each week will win! Visit Alliance Bank facebook fan page for more details.